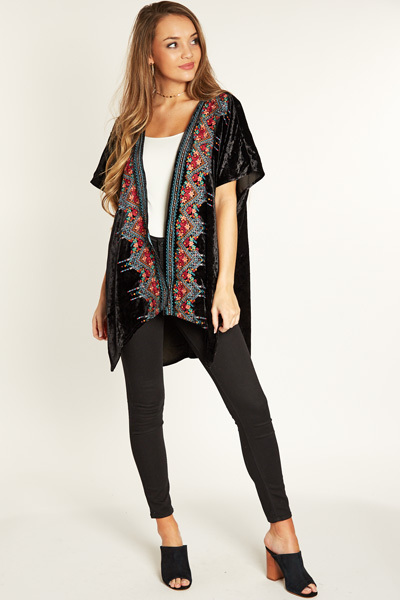 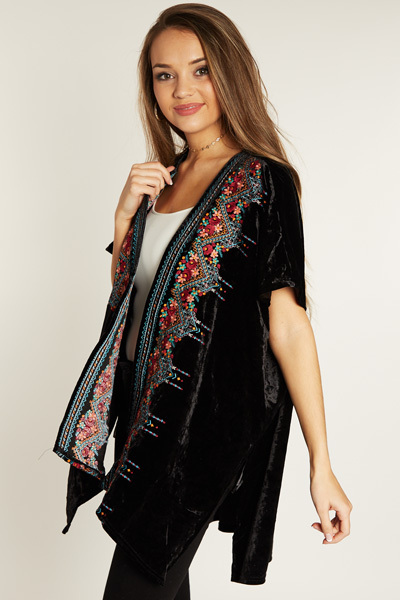 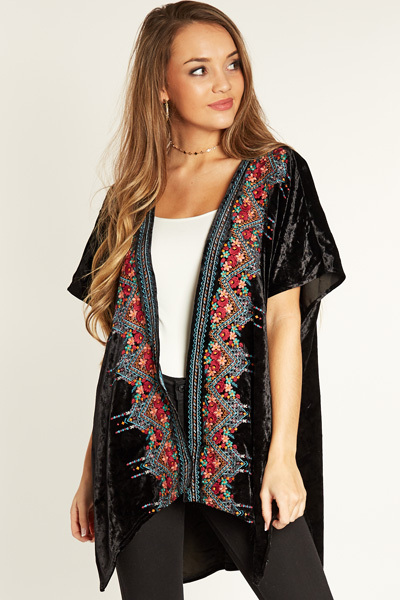 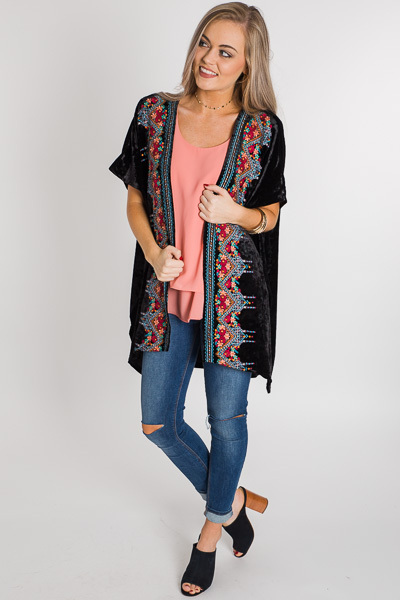 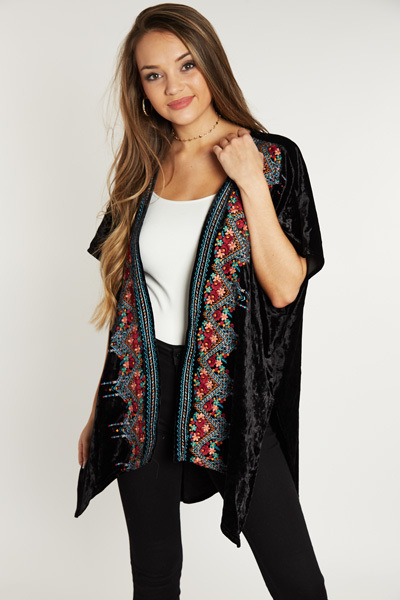 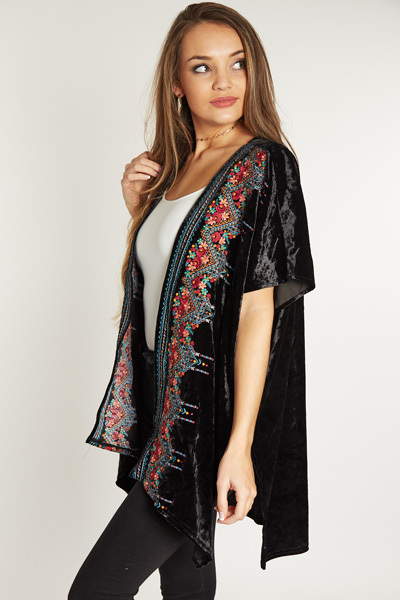 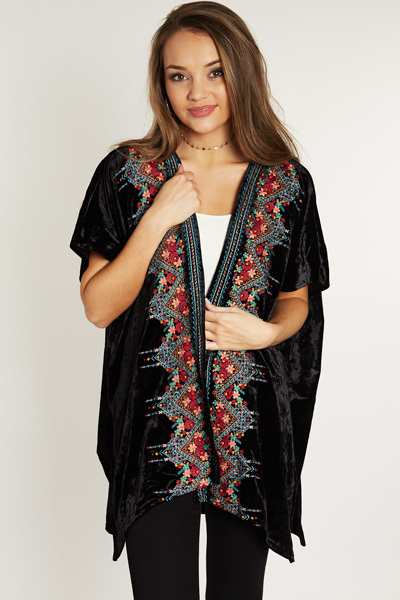 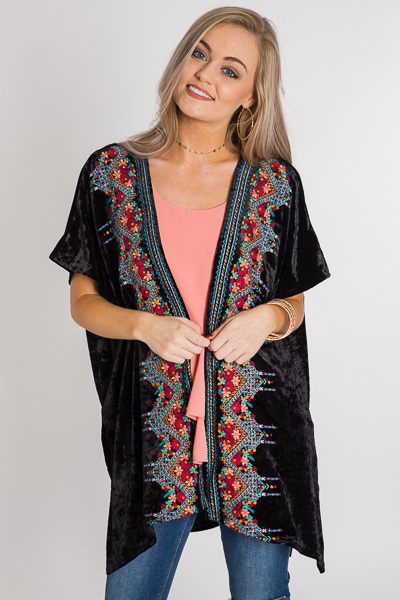 This embroidered kimono is such a unique piece! 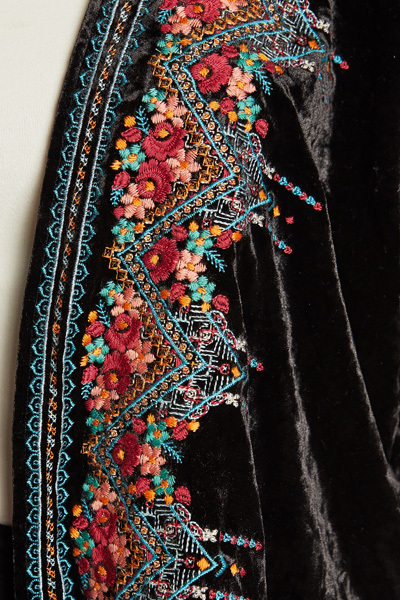 The velvet texture + the warm toned embroidery is perfect for this time of year and taking your outfit to the next level. 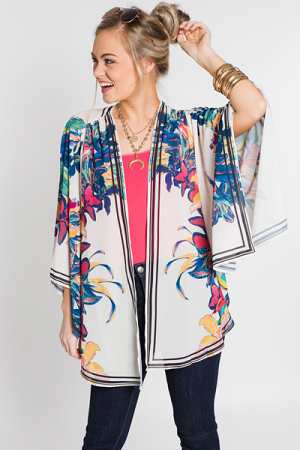 The poly blend fabric is super smooth and stretchy, and it features an open front. 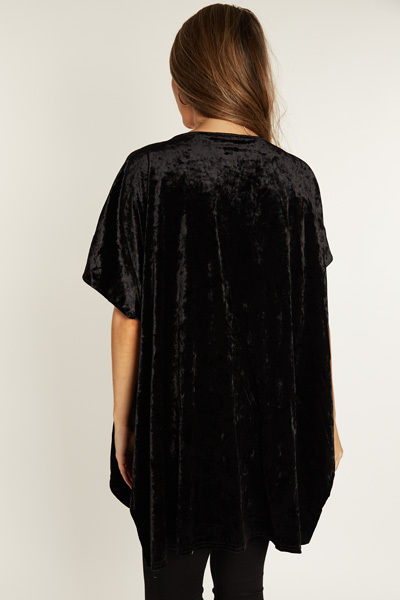 Length measures approximately in Front/Back: 30/34"